“It was a French dream come true: The competition couldn’t have went better for the hosting home country as with Mathieu Crepel (52.1 points) a representative of the Equipe Tricolore took home the Gold medal in the first ever Big Air in the history of the LG Snowboard FIS World Cup on French soil. 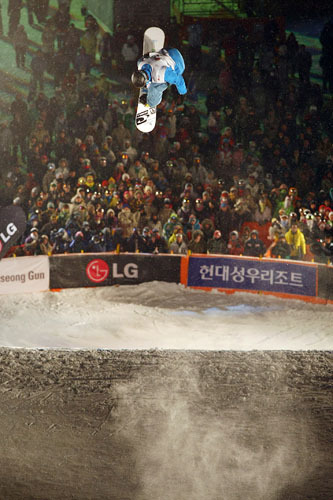 In an exciting final in Grenoble’s Park Paul Mistral, the reigning Big Air and Halfpipe World Champion relegated 2008 World Cup winner Stefan Gimpl (51.4) from Austria with a lead of only 0.7 points to the second rank. In the class of its own battle for the podium in front of 15,000 spectators, Finland’s Jaakko Ruha rounded out the podium with a score of 47.7. Although France saw the desired win by one of it’s riders it didn’t seemed to end up like this after the first two rounds of the final as Stefan Gimpl had taken the lead due to an as usual stylish “Frontside 1080” earning a score of 27. Crepel followed with a gap of 1.8 points after he had performed the same trick. 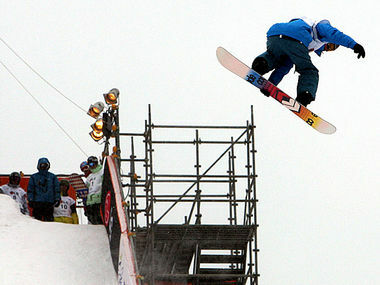 But although he had not competed in any Big Air contest after his big success at the 2007 World Championships in Arosa, the 24-year-old underlined in the decisive third run of the final that he rules the roost impressively winning his first ever Big Air World Cup. 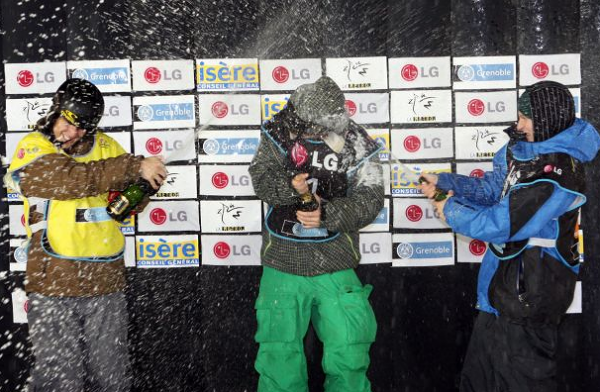 End of October I got second at the Fis World Cup in London. Sorry for not posting this earlier.